We offer secured online and offline payment processing methods. The transaction, done through online mode, is instantly forwarded to the payment system. We also accept bank account transfers, cash payments, etc. We have established a state-of-the-art warehouse facility and equipped it with the latest inventory control system. Thus, we can take care of seasonal supply, wholesale supply, and quick supply among others. Principle :Specific gravity of the sample & distinguish the real precious metal from the fake material. Ease : Thanks to inbuilt measuring software which makes it operations easy. GOLD : User can select either copper or silver individually as mix material in GOLD for purity measurement. PLATINIUM : User can select either palladium or Ruthenium or Cobalt individually as mix material in PLATINUM for purity measurement. Precious Metal Karat Tester Evaluating the purity of GOLD in % / Karat. precious metals like Platinum & Silver can be tested by Optional mode. 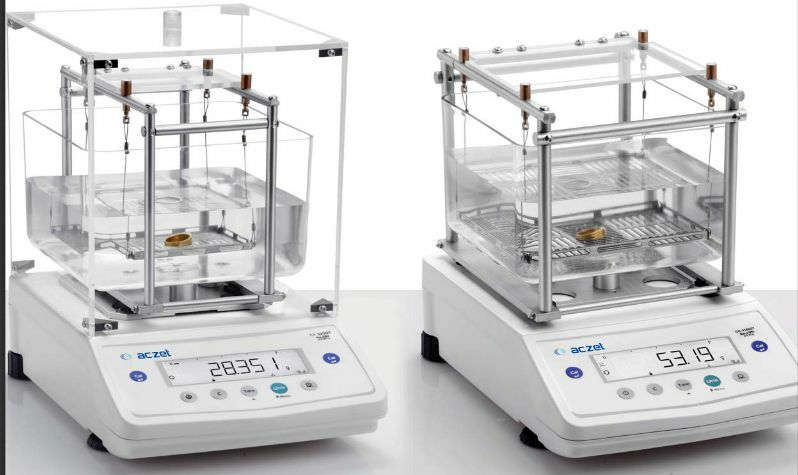 Can be used as a normal scale or Densimeter.